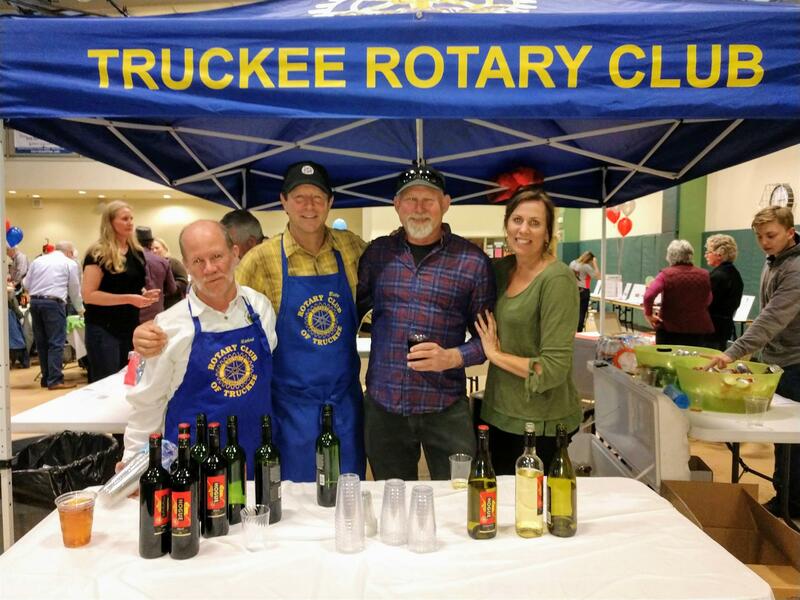 Welcome to the Rotary Club of Truckee! The second half of Rotary Year 2018-19 is well underway, and our Club and its members have made a significant difference in our community and the world. The Rotary meeting program on January 31st featured Mr. Craig Rowe, a Truckee High teacher who founded La Fuerza Latina (LTL). This is an unofficial club composed of Latina girls at Truckee High who have good grades, good work ethics, are full of potential, but who have limited resources available to them. During Mr. Rowe’s presentation, he must have thanked the members of our Club at least 10 times for financially assisting his students. During and after the girls gave their individual presentations. I was extremely proud to be a Truckee Rotarian knowing the efforts of our members that made a difference in all of their lives. During District Governor Tina Spencer’s visit to our Club in November, our members raised over $1,500 for polio plus in 1 meeting, which was matched two times by Rotary International. No question, we do great things in the world! 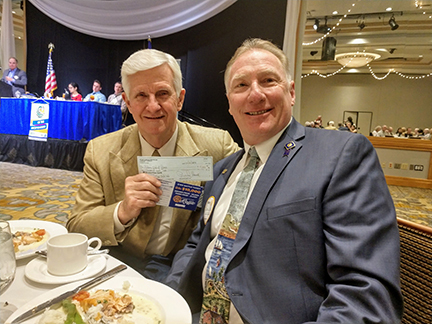 Last Monday, January 28th, I had the honor of presenting the Reno Rotary Club, a $10,000 check towards the Uganda Nursing School phase 2 project. $8,500 of the $10,000 was raised in about 3 minutes at our regular Club meeting. This event will go down as one of the highlights of my Presidency! Again, we do great things in the world! A couple of weeks ago, Kelly Turner and Stephanie Nistler rolled out the “Truckee Rotary Raffle” with a goal of 1,000 tickets sold by our membership. We are off to a great start with Kathleen Eagan leading the charge, she has sold 32 tickets as of last week’s meeting. The Rotary Club of Truckee continues to give back to the community year after year currently under the leadership of President Randy House. "Our commitment to Truckee and the people who live here is ongoing throughout the year with a variety of ways we serve and give back," said House. Congratulations to this year's Rotary Raffle Winners! $10,000 Grand Prize - Jerry Hall and the Rotary Club of Reno. They donated ALL of the prize to their Uganda Nursing School project in Bwindi, Africa! President Randy presents the check to Jerry Hall.